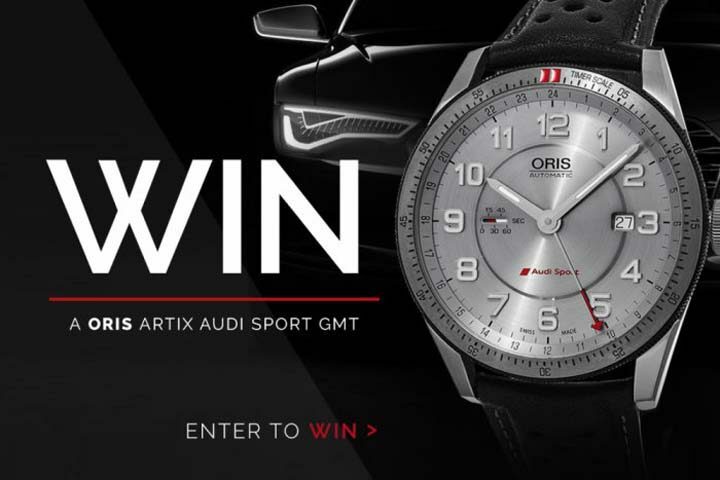 The prizes are: Oris Audi Sport GMT. The approximate retail value of all prizes is $2,400. The WatchBox Oris Audi Sport GMT Contest is open only to those who sign up at the online sweepstakes page and who are at least 18+ years old. The sweepstakes is open to the legal residents of the All Countries. The WatchBox Oris Audi Sport GMT Contest ends on Semtember 9 at 11:59 PM. The Sweepstakes must be entered by submitting an entry using the online form provided at thewatchbox.com/sweepstakes.